Frankly I don’t know how anyone copes with the challenges, upheavals, sorrows, rage, exhaustion, confusion, depression, isolation, and tediousness of it all without the Lord’s saving Grace & Peace! These extensive trials have driven our family to the Foot of the Cross time & time again. And even with His “Peace that passes understanding” there are many days when we just have to slog it out…& it ain’t pretty either! I still honestly don’t know what to do with all the “stuff” that has been crammed down into my soul with minimal if any real “processing” time or resolution. It is difficult for me to make sense of some of those special needs experiences without some outlet for said processing–which is one of the reasons for the existence of this blog at all. Unusual Therapies; Sensory Integration Therapy, Music Therapy, Art Therapy, Social Skills Group, etc. Massive Educational & Disability Discrimination…any real recourse here??? Brain Tumor removal through the nasal passage, so no visible scarring! Well, my oldest son has mentioned on a number of occasions how I “never use my education”, since I’m not currently in the workforce. It has honestly taken every aspect of what I’ve learned formally, inter-personally, spiritually, and experientially to navigate the extremely treacherous waters that Special Needs Parenting has led us through. Some doctors have kindly indicated that I have a virtual medical degree by way of this personal parenting experience. Whatever I have become, much of it is now attributable to being a Special Needs Mom. It has become a burden, a badge of honor/courage, and ultimately a blessing. 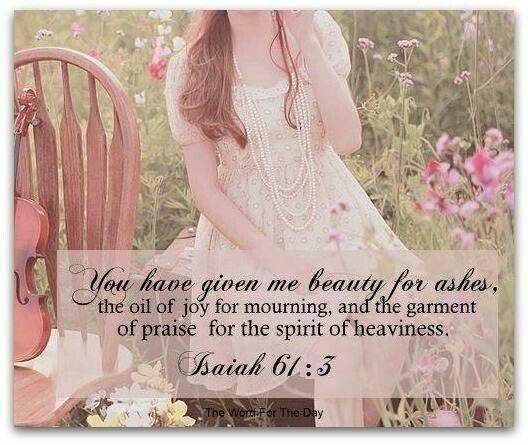 In God’s Kingdom He brings Beauty for Ashes, Light from Darkness, and Hope beyond Despair! I recently read an intriguing blog post by someone who has autism but chooses to remain Anonymous…hopefully there will be many other nuggets to mine in her blog as well as the interesting comments sections filled with feedback & unique perspectives. I had wanted (in my comments below) to go into the girls aspect of Autism and mention how there may be a continuum between Autism and ADHD…I’d read a book a few years back that laid out a good scientific case for this insight. Later, while doing massive amounts of research for Josiah’s special education needs/case I read a number of things that talked about ADHD and how it presents in females…and in particular how there are some mothers of kids with ADHD (and/or autism?) who were never diagnosed themselves but see so many of their “issues” reflected in their kids struggle…apparently to the point that this is a “thing” that gets some degree of recognition in certain circles. I’ve meant to look back on this topic for my own “edification” but have been mightily depleted by the Special Ed case and fallout that it just hasn’t happened yet. In our family of 6, 4 have officially been diagnosed with ADHD, & the two that haven’t (myself and Brandon, Josiah’s twin brother) exhibit quite a few of the ADHD traits (but perhaps not enough to rise to the clinical level of diagnosis…but then again who’s actually asking to be “officially” labeled)…so we think we probably both have some part of ADHD, at a minimum. So if the continuum theory holds water, could it be that people that have ADHD are on the (potentially) mild end of the Autism Spectrum? It’s so hard to really say and it may in large part depend on who you ask and what their personal practice emphasis (if you only have a hammer then everything looks like a nail and all!) might be…It is supported in research, I believe, that many times the parents of kids on the Spectrum have many of those traits themselves. Certainly when “we” were growing up awareness of Autism “Spectrum” issues was nowhere near the level it is at now. Also, if it is shown that there is any level of a genetic component to Autism and/or ADHD it would stand to reason that these things would run in families to some degree. In my own family, from a retrospective perspective there could be arguments made that both my parents have possessed some traits of ADHD, especially when younger. 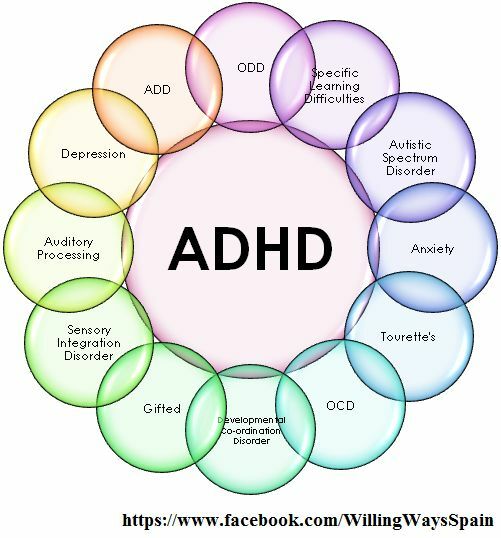 At least one of my brothers had many such traits when young and his son was also officially diagnosed with ADHD. My other brother has a couple of kids that seem to have a lot of such traits too. My husband wasn’t diagnosed with ADHD until adulthood, but it surely negatively impacted his academic trajectory when younger, even though he has learned to “compensate” for the ADHD issues as an adult, as have most of our kids. Most everyone in my present family has some degree of sensory issue and we all possess varying degrees of emotional vulnerability, but thankfully this trait is at least somewhat intermittent in most of us! Could these also be evidence of the “Spectrum” Continuum? Anyway, I don’t fully get why so many people feel the need to find such a label and thereby get some type of identity by identifying with a group. Obviously, for anyone who knows me very well, I have spent much of my life in isolation, going against the flow, and refusing to join into whatever “group” (like Groucho Marx I wouldn’t be a member of any group that would have me! )…so the herd mentality is far from appealing to me personally. I have spent so much of my life seemingly on the outside of whatever the group thinks it is or what it does that it’s actually harder for me to acquiesce to the “herd mentality”, even in a church setting where people are looking to foster “unity”. This may be a holdover of the “rugged individualism” of the traditional American ideal that I do internalize to some degree, my own individual personality & intellectual makeup that always goes into suspect analysis mode whenever everyone around me jumps on some bandwagon (or follows some pied piper toward yet another cliff), or even can be an outgrowth of having lived virtually my entire life “counter culture” (especially now that Constitutionally Conservative Christian is virtually a pariah position in this formerly free land of ours). Perhaps being an “outsider” is enough of an identity that it’s not necessary for me personally to seek other labeling for myself. As far as role models go, though, as a Christian the Only real role model would be Jesus Christ…and that represents a role that none of us could ever live up to! 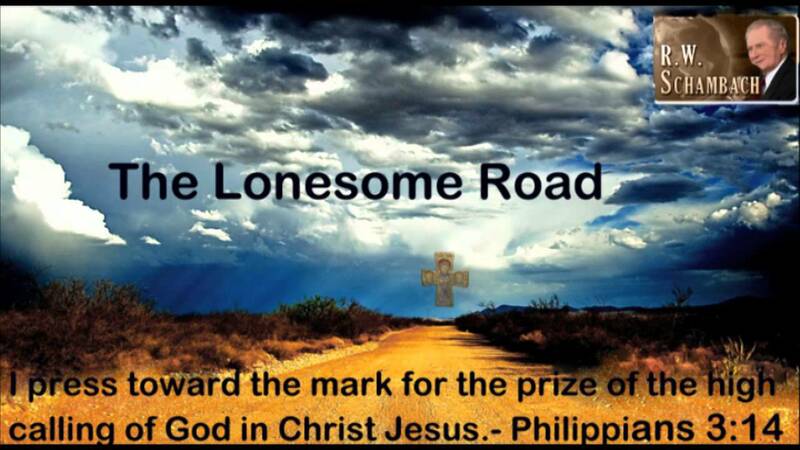 14 I press toward the mark for the prize of the high calling of God in Christ Jesus. 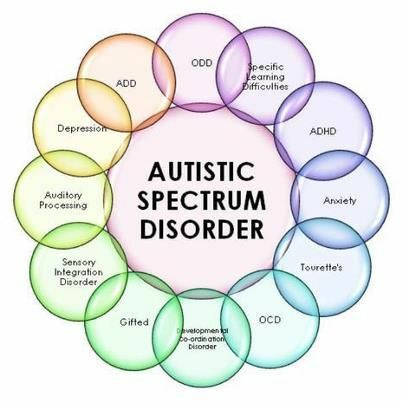 My perspective on this is a bit different in that I am a Parent of someone on the Spectrum who was diagnosed as “PDD-NOS” (Pervasive Developmental Disorder Not Otherwise Specified, aka “atypical autism”) and we got such a “label” for our son when he was still a preschooler. He also had many other issues that were primarily medical in nature and during key points of his life these medical needs really took preeminence (2 open heart surgeries, brain tumor, liver transplant, etc). Our seemingly biggest challenge overall was in getting the educational system to even pretend to address his Actual Needs. We had years of frustration where they absolutely refused to acknowledge his autism diagnosis (in fact they never officially Did recognize that he was on the Spectrum, though his last Special Ed Case Manager did admit the obviousness of his Autism in private conversations with me). The school system was extremely derelict in its legally mandated duties to my son and we dealt with significant frustrations in this arena for the duration of his public schooling, K-12 (ironically special ed preschool did a Great Job with him, so our frustration was mightily increased by the torments that followed). Given that the “higher functioning” autistic kids are probably the ones most likely to be able to “handle it” to some degree in the regular/normal/neuro-typical world it would certainly seem in society’s best interest to help give them the tools and support necessary to foster their highest level of independence while young and thereby ensure a likely increasing percentage of such kids will grow into (nearly) independent adults. This would mean the possibility of significant resource allocation during the earlier years developmentally but should hopefully result in many more of these kids not needing nearly so much public support as they likely would otherwise had such intervention not have been provided. The arguments for early and intensive intervention for Autistic Spectrum kids have surely now made that perspective widely accepted and hopefully there has been sufficient time for data gathering to bolster this view “scientifically”. In our family’s case, we spent many years and uncountable mental, emotional, spiritual, and financial capital attempting to get our local school system to DO THEIR LEGALLY MANDATED JOB…and these requests were based on data, diagnoses, and clear evidence of myriad needs (many in keeping with autism spectrum issues)…however the real bottom line was that my son got virtually Only what the school felt like offering whether it directly addressed his needs or not. And since they absolutely refused to acknowledge or address his Autism Spectrum issues (which were known as early as 2000 and had written behavioral pediatrician’s orders) he was significantly negatively impacted by not having received these necessary (and technically IDEA mandated) services. The cost to our family (we had four kids within four years) was/is truly incalculable. I’m not “blaming” the school for all the issues, but had they done their job there are so many things that would have gone differently. For instance my son required significant therapeutic intervention, especially when he was younger, so we would take him to PT (Physical Therapy), OT (Occupational Therapy), SLT (Speech & Language Therapy), Sensory Integration Therapy, Music Therapy (which I tried for years to get the school to provide to assist in re-mediating his Severe Learning Disability in Math), Art Therapy, Psychological Therapy, Visual Therapy, etc…We spent so much of what should have been family free time shuffling him to and from these visits and when I finally stepped back from it one year due to personal overload and burnout basically watched him deteriorate before my eyes. He should have had year round intensive intervention provided by the school but they absolutely refused to analyze or address his very real needs and declines. I actually ended up dragging all my kids to random Vacation Bible Schools over a few consecutive summers just to try to give my Special Needs Son some degree of educational structure (and all the other kids really came to resent this as they got to attend these nearby VBS’s along with their brother). There were a few years when being out of school got so upsetting for my son that he lost his toileting skills…but they immediately returned when school began. This level of distress did not concern school staff at all but it caused significant suffering for my son…and the rest of us. Well, this obviously went on Way Longer than I intended it to. I’m so glad you are putting your voice out there and speaking up on behalf of yourself and others who may not choose to speak but whose experiences and perspectives resonate with yours. My son has come such a long way from those virtually non-verbal and overwhelming sensory distress days to having discovered himself and continuing to refine his own unique voice. Although “movie quoting” and verbatim dialogue still punctuate much of his communication he can at least now speak as himself so much more freely now than ever before. Loving someone with autism and living with someone on the Spectrum can certainly be a challenge (and I won’t minimize the major hardships of our personal journey historically &/or presently) but it also presents a tremendous amount of joy as well. Our “special” son is really the heart of our family in so many ways. He is a constant source of entertainment and his humor is so random that it continues to surprise and amaze us all, which is a huge blessing and counterpoint to the stressors. However he also represents a personal bridge between this world and the Kingdom of God (he is a very strong & outspoken Christian)…he has seen the Face of God while undergoing his Liver Transplant and (similarly to his dad) can have a nearly conversational relationship with the Lord. I really believe that his “autism” facilitates this transparency. Just as he doesn’t know how to put a “mask” on in his human relationships, he is virtually incapable of having a barrier between himself and God. Witnessing his Christian Walk is both humbling & encouraging for those who live with him. If he struggles to talk with us earthlings there is no communication barrier with his Heavenly Father…and that is a gift that no “labeling” nor lack of supports could ever diminish! Blessings, thanks for all you shared, and thanks for letting me “wax eloquent” too here. “YOU ARE NOT AS RARE AS YOU THINK YOU ARE! Getting to that proper diagnosis can often be a huge struggle. Treatments, if there are any, are extremely expensive. Information on the condition can be difficult to find. Practitioners specializing in the diagnosis are only available at major medical centers, if at all. Schools are completely at a loss when it comes to comprehensive understanding of the diagnosis. 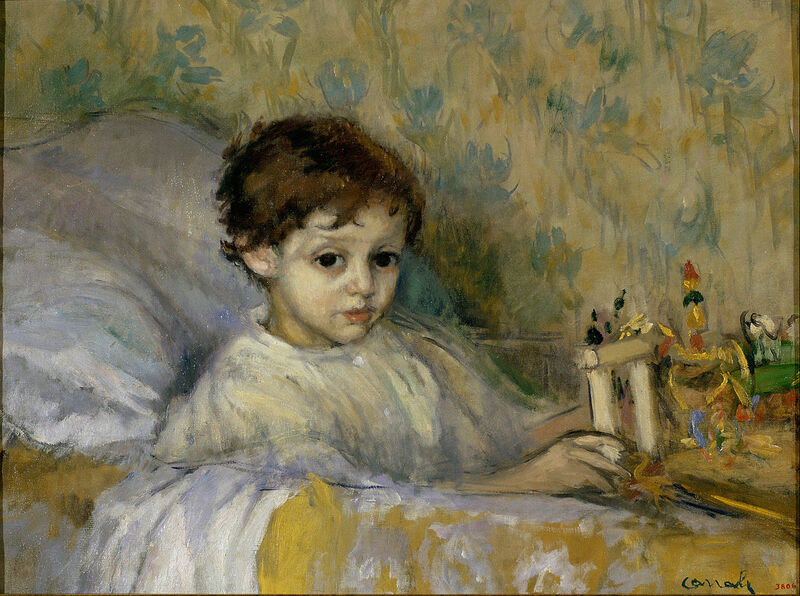 Pity or confusion from others seems to multiply exponentially when they learn a child has a rare disorder. This cluster of added challenges can make us feel unenviably rare indeed. We can buy into the lie that no one in the world understands what we are going through. Nothing could be further from the truth! YOU ARE NOT AS RARE AS YOU THINK YOU ARE! The Old Testament prophet, Elijah, bought into a similar fallacy after he had confronted the prophets of Asherah and Baal. In 1 Kings 19, Elijah flees for his life, whining to God, “I have been very zealous for the Lord God Almighty. The Israelites have rejected your covenant, torn down your altars, and put your prophets to death with the sword. I am the only one left, and now they are trying to kill me too.” (1 Kings 19:10, NIV, emphasis mine) Later in the conversation, the Lord reveals to Elijah that he is certainly NOT the only prophet left. He reassures Elijah and directs him how and where to unite with others who share his commitment to the Lord. Not As Rare As You Think You Are was first posted on February 17, 2016 at 12:00 am. Mother of 3 children, all of whom have a variety of diagnoses, Barbara is the foundress of Snappin’ Ministries (www.snappin.org) and currently serves as Executive Director. Besides being passionate about sharing the hope of Christ with parents, Barb is active in legislative advocacy, and serves as a partner and ambassador for rare disease. 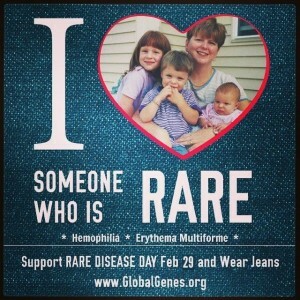 I don’t actually know about the rarity of the diseases/diagnoses we’ve faced with our son. When he had the brain tumor the type of tumor he had was rare for a male and for someone his age. Many of his vascular atypicalities are extremely unique–does that equal rare? Prior to the Liver Transplant the underlying liver condition, Congenital Absence of the Portal Vein, was a very rare condition. If memory serves I looked this condition up at the hospital, accessing medical literature via computer not usually accessible to me seemed to show that this condition has only been written up a handful of times, I believe less than 20 times, over many years after having been first discovered during an autopsy in the 1700s. When my son was an infant and still in the NICU I spent significant time accessing that hospital’s medical library looking for info on his then known conditions. I couldn’t find material (granted I didn’t ask for assistance and it could be out there) that linked more than a couple of his conditions. I even find the name of their blog comforting, for chaos is something we’ve come to live with, endure, and eventually embrace…it is a way of life for families dealing with Special Needs. I used to think the chaos was more a function of so many kids so close together and the energy & upheaval that accompanies that family composition. When one of my brothers started having a lot of kids I used that word “chaos” in describing family life implying that he might be facing that scenario too. It came across as offensive to him, perhaps his household wasn’t chaotic like ours was…or perhaps his wife kept the chaos enough under control that it didn’t intrude on his personal space the way our chaos intruded on my space…perhaps he didn’t like the nomenclature and found that offensive, or perhaps he had a tad bit of denial of their actual status. Any way, I hope to partake of the offerings at the above blog on occasion. Being people of Christian faith, yet also facing the Fact of the Chaos that seems ubiquitous with Special Needs living and parenting is an important reality check. Just like an alcoholic will never approach AA nor get help for their alcoholism if they never admit/acknowledge that they Are an alcoholic, so, as a parent facing complex special needs scenarios (both present & historical) it is difficult to receive help for the “chaoticness” of life if one doesn’t first acknowledge that it exists. Anyway, speaking from within the current emotional pain of the fallout of further disappointments and systemic “abuses” recently endured, I am hopeful to encounter testimonies via the above blog that will be an encouragement and inspiration. This is so those thoughts aren’t just entirely lost to the ether…hopefully I can figure out what is stalling the comment posting at Pensive Aspie, but if not I can always refer her here…if it’s possible to discover another way to interact with her. Trying to keep track of way too many threads in my mind! I’m in the process of developing a Blog as an outlet and focus shift after the fallout from our recent special education/legal system battles. In the course of being more “engaged” in that particular WordPress blogging community I have been searching for writings by others that can be inspiring, informative, and edifying. To that end I shared (the bulk of, he was getting restless) a posting by a Christian woman who also has Asperger’s Syndrome. This is in hopes of eventually getting Josiah to expand his voice, and reach, online…and to give him a forum to expound on other topics of interest to him that don’t usually get into his JosiahTheOvercomer page. 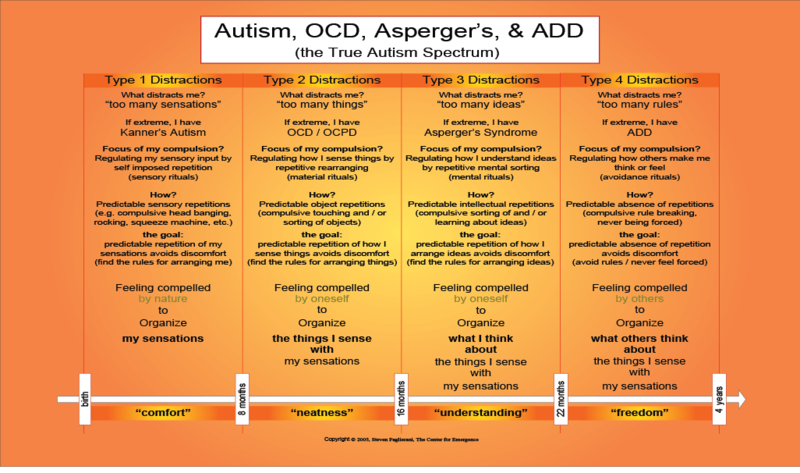 She has some great insights here from within Autism that can be of help to any of us who love, know, or interface with people on the Spectrum…Please consider reading the original posting. 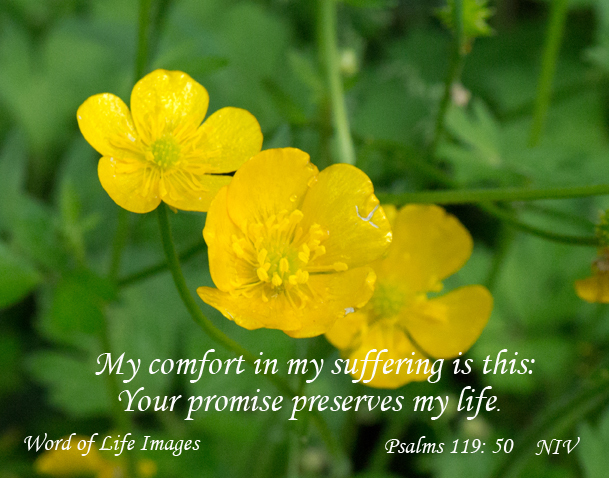 Blessings to you all, and thank you so much for your ongoing prayers for our family. We really appreciate this loving support! Thank you so much for sharing this detailed and insightful post. I just shared it with my 20 year old PDD-NOS (atypical autism) son as an example of a blog written by someone on the Spectrum. Even though he wasn’t prepared to partake of every word, like I was, it appeared to be inspiring and to crack the door just a bit for him in the concept of creating a blog where he can speak in his own voice. Most recently we’ve been facing numerous uphill battles in relation to FAPE (Free Appropriate Public Education)…or in our case, the lack thereof! We are currently in the process of seeking Transition support since this aspect of his IDEA mandated education was completely disregarded by our local school district…and he has “graduated” even though he cannot even do 3rd grade math! His primary care physician has told me that “high functioning autistic kids” are the ones who really don’t get their needs met from the school system, especially in the area of Transition (preparation for post High School education, employment, & independent living). Did you run into challenges in that arena, if you don’t mind me asking? I would absolutely treasure any insights you might be willing to share as I continue my own journey of trying to better understand, advocate on behalf of, prepare, inspire, pray for, and ultimately release into to God’s infinite and personal care my very unique, special, complex, and blessed son. Thank you for sharing so much of yourself and some of the inside workings of the Autistic Spectrum mind. 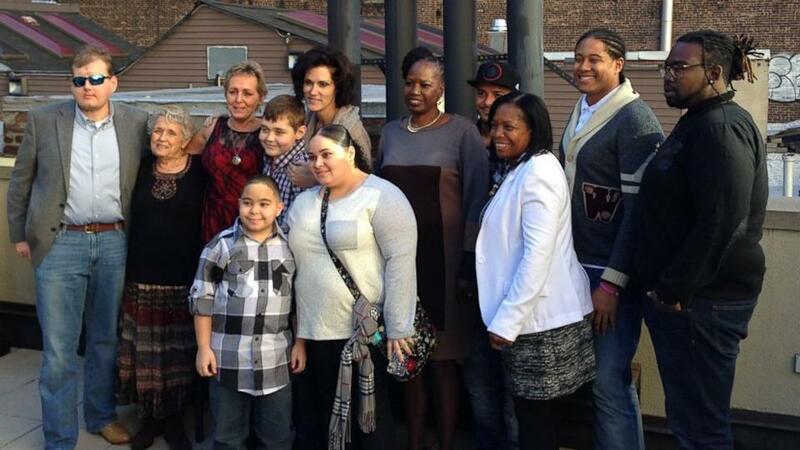 May God continue to Bless YOU and your family as you go forth in truth, strength, and grounded on the Rock love. You have inspired me so much! That website could potentially benefit from an article from your extremely unique perspective!